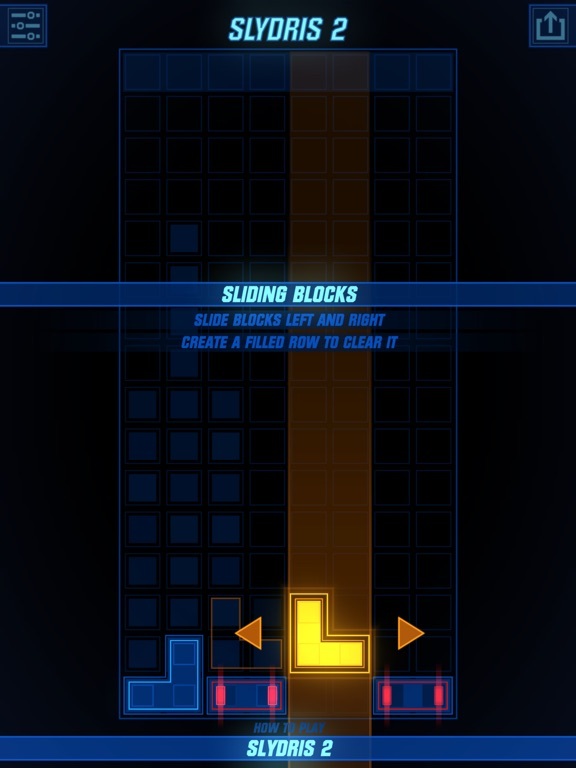 Sliding and dropping blocks into complete rows has never felt as satisfying or looked as good on a mobile device! 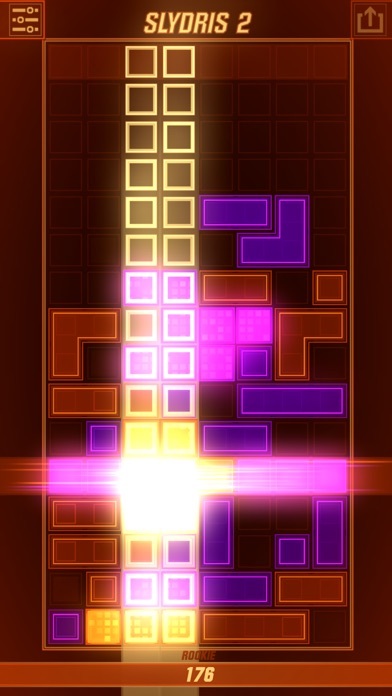 "Slydris 2 is the thinking person’s Tetris – a hugely compelling turn-based take on tile-matching puzzlers" 5 out of 5 stars! 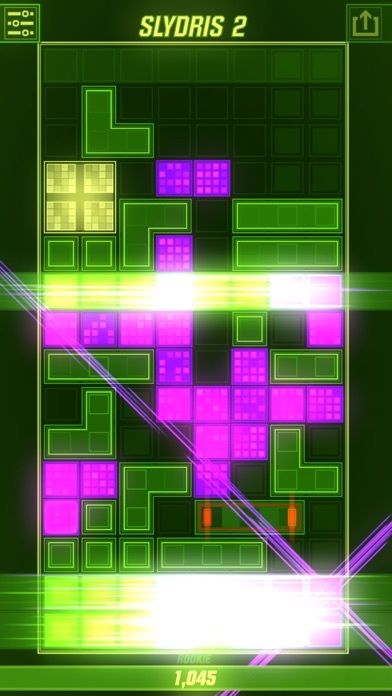 (Stuff.tv) "Slydris 2 takes the core components of Tetris and plays around with them to brilliant effect" 4.5 out of 5 stars! 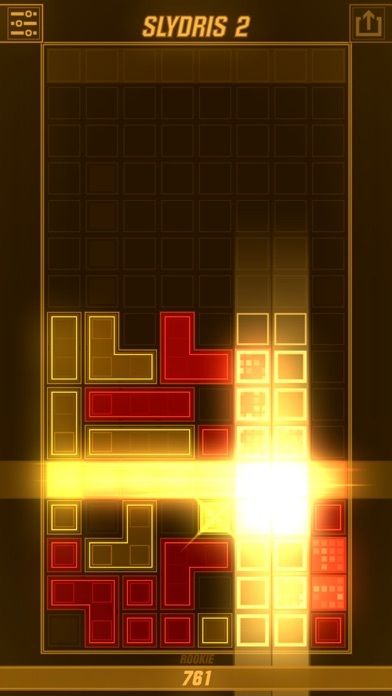 (Pocketgamer.co.uk) "Slydris 2 is exactly the kind of game I’ve been waiting for and I’d recommend it to any puzzle fans" (AppUnwrapper.com) In 2012, Slydris took the mobile-gaming world by storm, launching to amazing critical and consumer reviews. 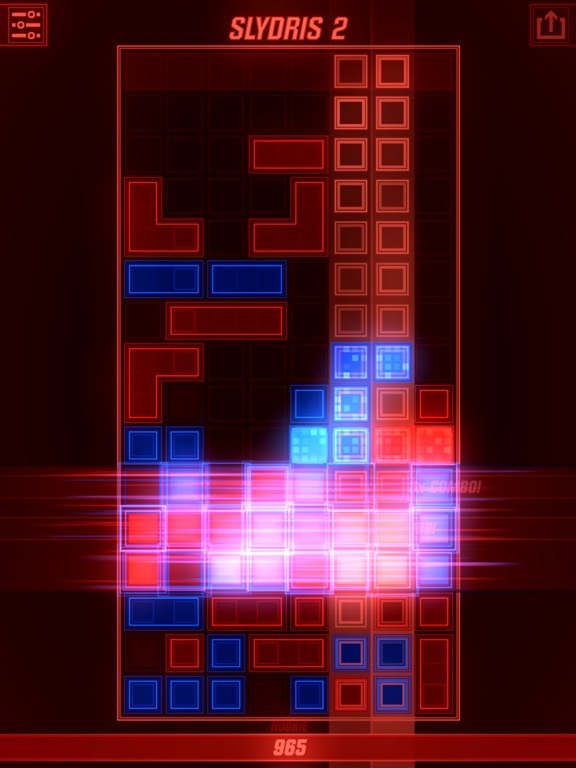 It went on to win multiple awards, including GameTrailer.com's 2012 iOS Game of the Year award, and ranking as Modojo's #2 iOS Game of the Year, and is Radiangames' most-played game of all time. 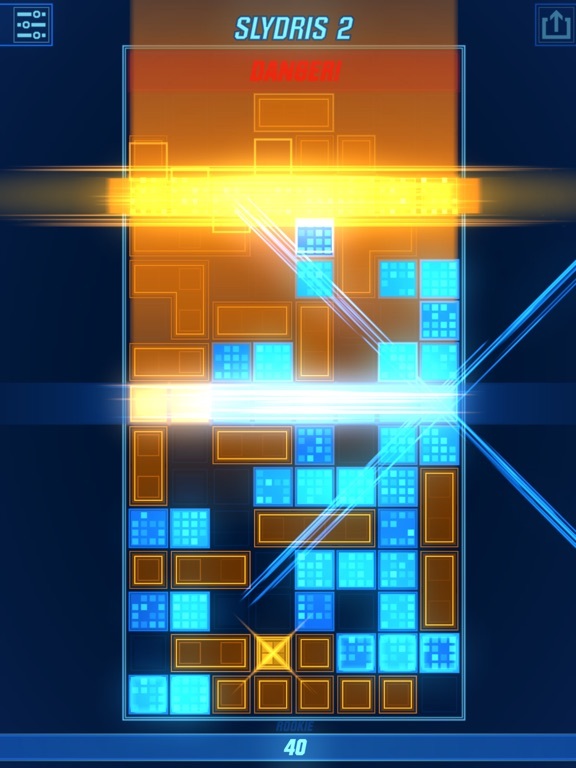 Slydris 2 takes the basic gameplay concept of Slydris--sliding blocks left and right and letting them drop into place to create full rows--and refines it into the ultimate line-clearing endless puzzle game designed specifically for a touch screen. Slydris 2's design brings more strategy and variety, and better balance to the Slydris formula. 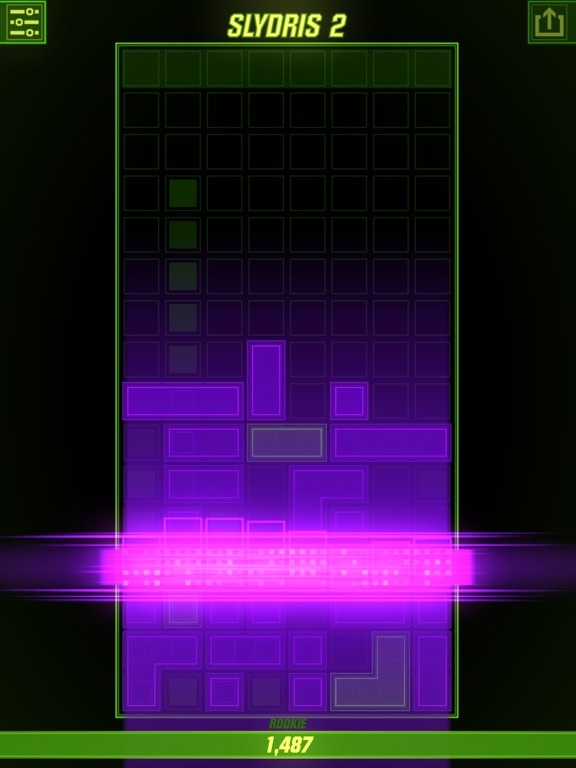 The relentlessly addictive gameplay is enhanced further with fantastic visual effects and earth-shaking sounds. 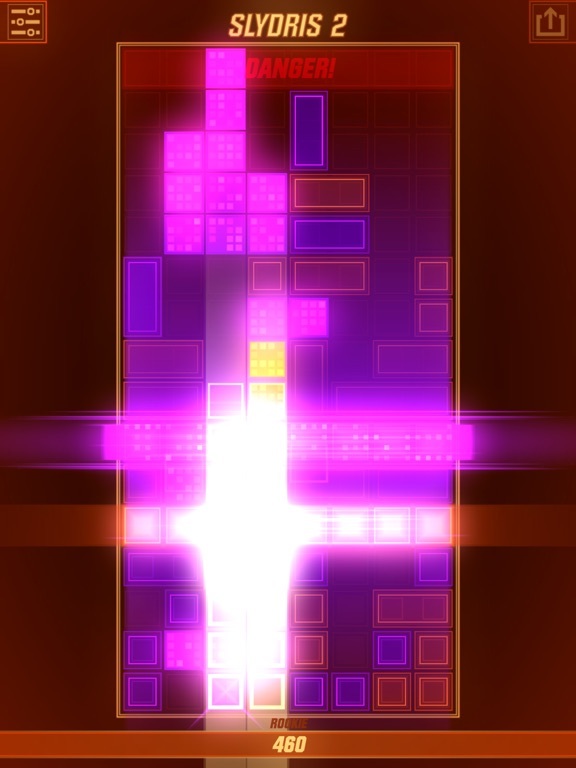 Slydris 2 also features 5 beautiful color schemes to unlock, and 5 mesmerizing music tracks that synchronize with the play field visuals. 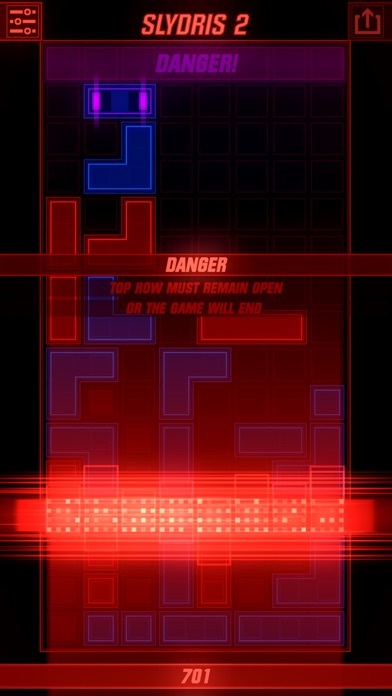 Quick Note on Ads: If you don't want to watch any Ads, Ultimate Mode is the way to go. 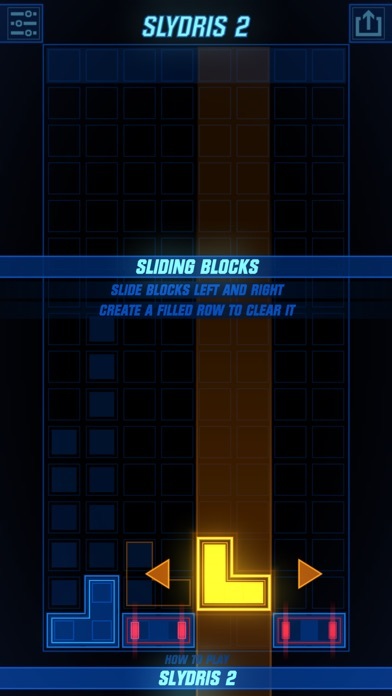 If you don't want to pay for the game and don't want to get interrupted while playing, you can watch multiple videos before playing and store up to 20 skips (aka play for nearly 2 hours without seeing any ads).